New Orleans is a city that deals with water issues on a sometimes daily basis. As flood-level water pours in, they have a system of levees and pump stations that can have the city clear of the water in 30 minutes. This all seems good at surface level, but below the surface, problems abound. The main one being: the land under the city is sinking. This is due to the sponge-like earth which hasn’t got enough water left in it thanks to the excellent drainage. In turn, this has moved some parts of the city beneath the drainage systems that are supposed to keep them dry, causing more major problems. “It’s all the result of the region’s geologic history. The Mississippi River built this delta over thousands of years through annual floods, each of which may have carried different materials. Later, deeper floods might have covered surface features that grew on the delta. That produced the wild weave of different soil layers beneath the metro area. So the sinking and expansion can vary from one end of a street to the other, from month to month. Most of that movement is controlled by the water table — the amount of moisture in the soils. The higher the water table, the slower the rate of subsidence. Several suggestions have been brought forward to remedy this problem, and most of them concede that water must no longer be treated as an enemy – the water table must be raised. A popular idea is to turn New Orleans into an “American Amsterdam” using canals, bayous, and rain gardens to beautify the city and slowly rebuild the water table beneath it. These developments would need professional long-term Stormwater and Wastewater planning in order to be sustainable for the future of New Orleans. Inframanage.com notes from an infrastructure management practice viewpoint, water, wastewater and stormwater are often managed quite separately. Water and wastewater may be managed by a utility, and stormwater and land drainage by municipalities or a special purpose entity. While these splits may work organisationally, the fact is the natural water cycle is holistic. Water abstraction affects groundwater, aquifer and/or river systems, water use impacts on wastewater flows and concentrations, and stormwater systems can change or alter natural processes including groundwater and water table recharge – the issue affecting New Orleans. As our infrastructure asset management practice and understanding grows, so will our understanding of total water cycle issues and inter-relationships. Managing these issues, particularly between entities, will require fresh thinking and new approaches. 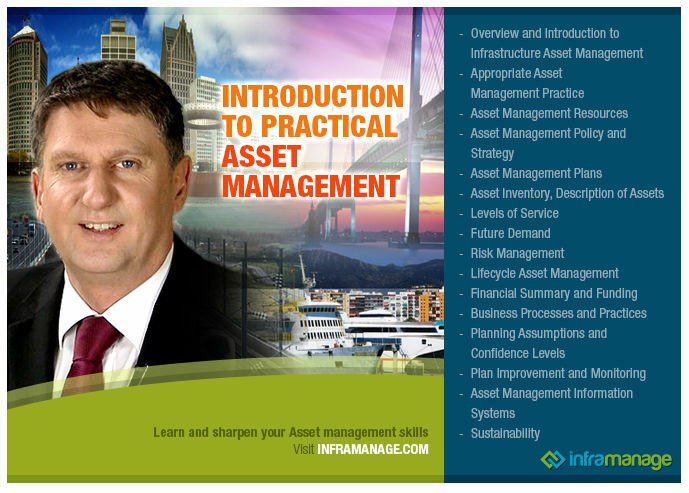 Which is part of what infrastructure asset management practice is about. PHOTO CREDIT: Ramón Morales via Flickr Creative Commons. The photo was cropped to fit website requirement.